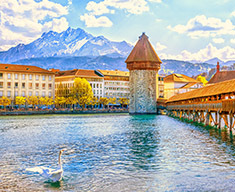 This tour showcases Scandinavian travel at its best. Cover three countries: Scandinavia, Sweden, Denmark and Norway! Start in Copenhagen, a true melting pot of design and culture. Tour the Danish countryside. 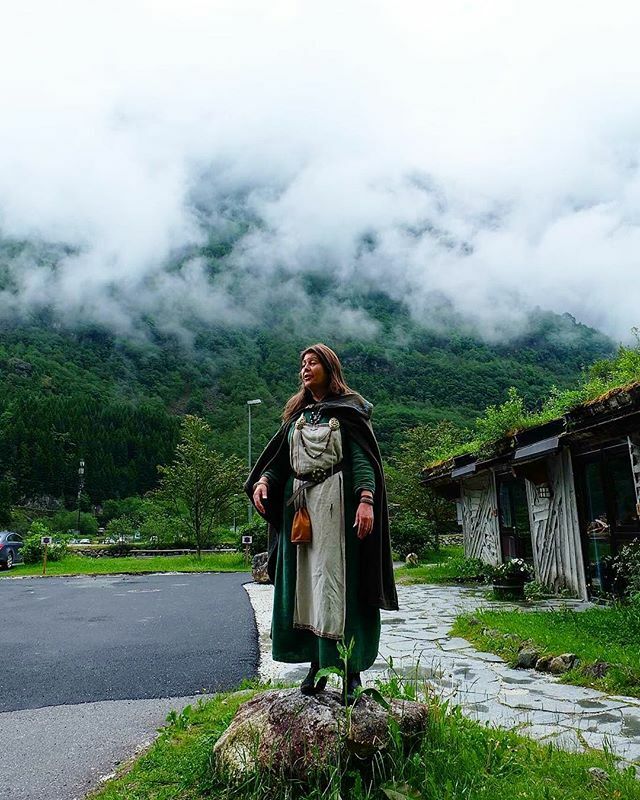 As you go, witness emerald green landscapes turn to cobalt blue fjords and white snow-clad mountains. Saunter about the vibrant capital of Oslo in Norway. 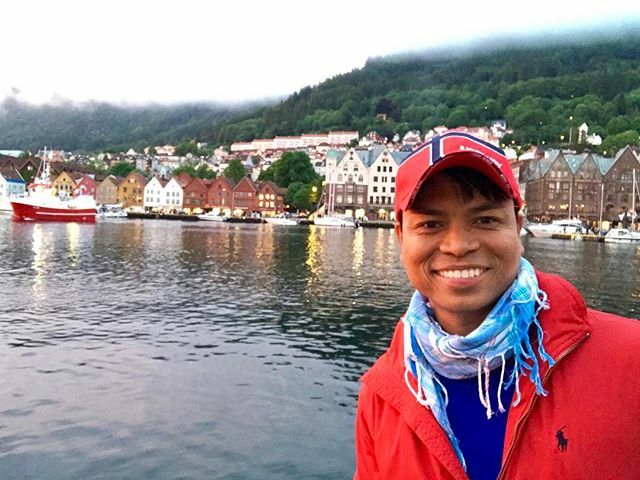 Also head to Bergen, and see the iconic Norwegian fjords. Cross to central Sweden, and finally Stockholm - the capital of Scandinavia. We created this trip for you to experience the vibrant wonderland of Northern Europe. The unique Scandinavian spirit will leave you speechless! 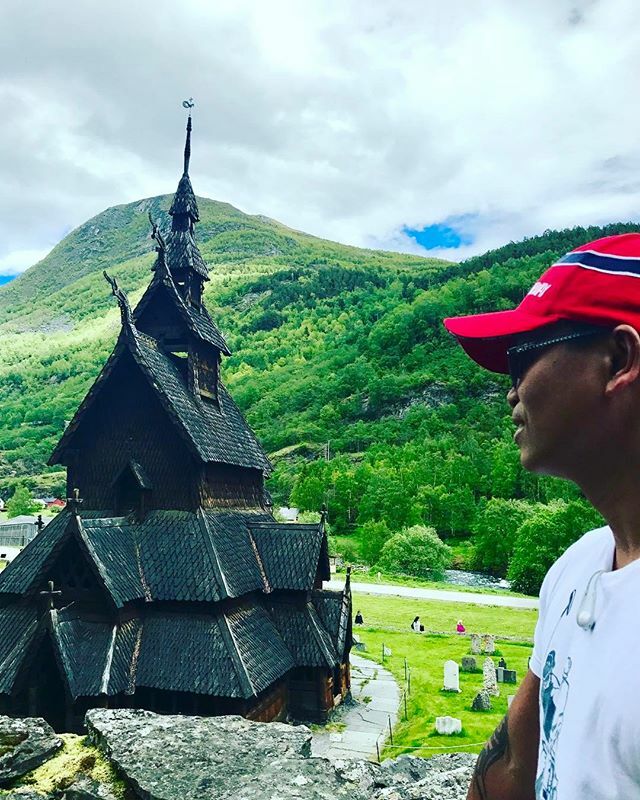 to witness the landscapes of Norway's heartland, a guided tour of Oslo, capital of Norway, a trip to Grenen peninsula in Denmark and many more! Welcome to the start of your Scandinavian adventure! Your tour leader will be waiting for you at our starting hotel in Copenhagen during the afternoon. 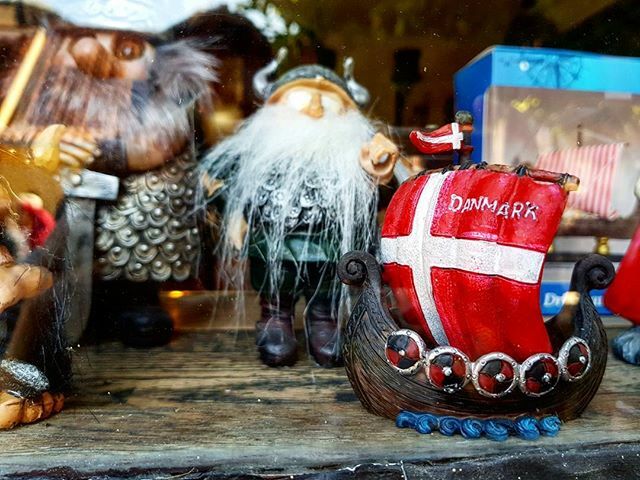 After everyone's checked in, we'll meet up with an expert local guide who will show you the highlights of the Danish capital on a driving and walking tour, including the famous Nyhavn waterfront, Rosenborg castle and the famous little mermaid statue. To round off the first day of the tour we'll enjoy an included dinner, where you can get to know your fellow travellers and learn a bit more from your tour leader about what incredible experiences the next 11 days will bring! 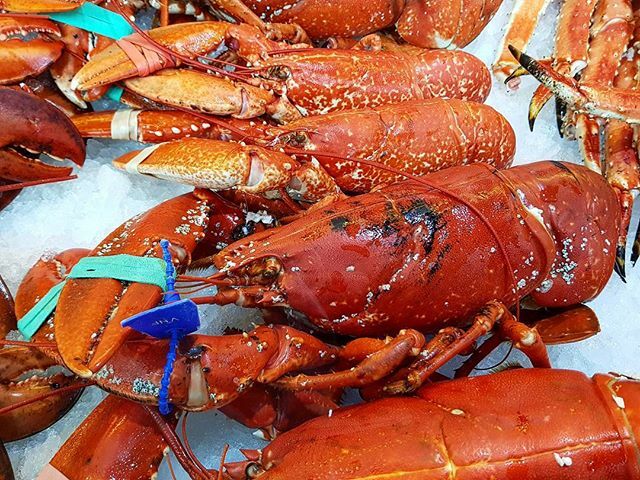 Enjoy a driving and walking tour of the Danish capital with an expert local guide, during which you will see sights including Rosenborg castle and the little mermaid statue. Get to know your fellow travellers and your Expat Explore tour leader this evening at the included dinner. Enjoy a free day to explore Copenhagen at your own pace. 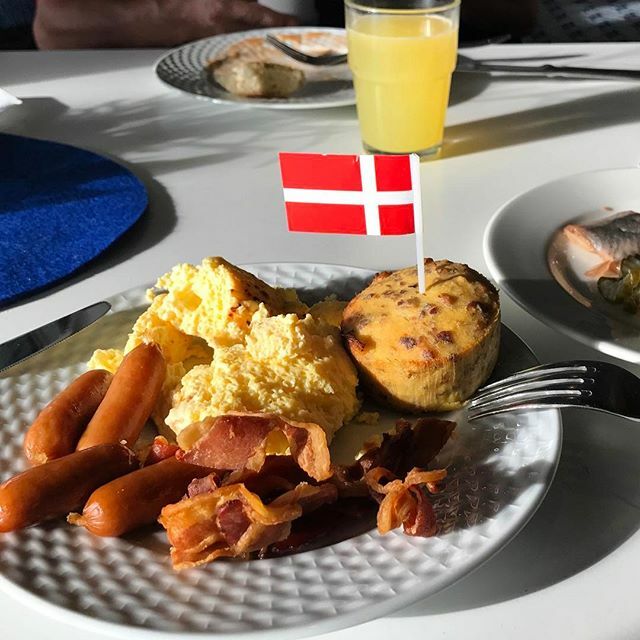 Options include the Tivoli Gardens, a famous amusement park and pleasure garden, and the Rundetaarn, an astronomical observatory that offers fantastic views of the city, and is known worldwide for its unique equestrian staircase leading to the top. 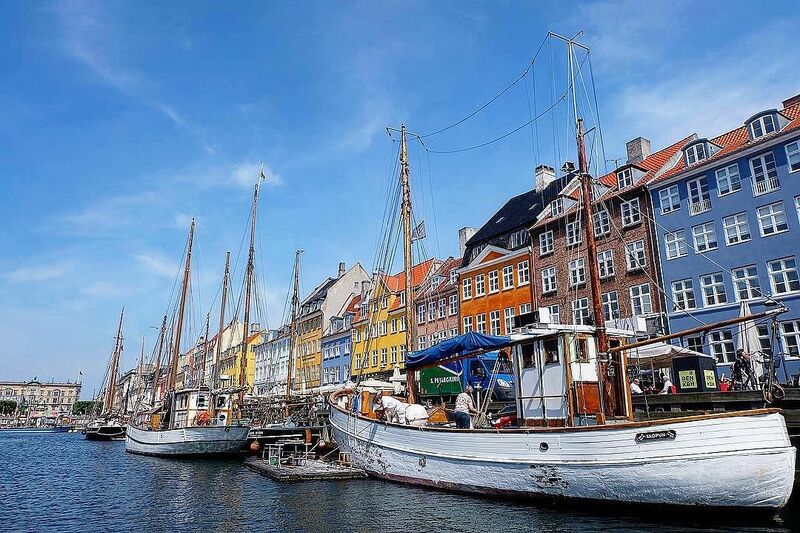 You could also return to Nyhavn and enjoy a drink on the canal side, and visit Freetown Christiania, a commune in the east of the city that was established by squatters in 1971 and attracts nonconformists from around the world. Today you have more opportunity to admire the natural beauty of the Danish countryside. Leave from Copenhagen and stop over in Odense, the third largest city in Denmark and birthplace of the fairytale writer Hans Christian Andersen. Take an orientation tour around the town before making your way to the coastal town of Frederikshavn and the hotel accommodation for the night. After arriving, you have the option to join an excursion to the Grenen sandbar peninsula, the northmost point of Denmark, and Skagen and Den Tilsandede Kirke (sand church). 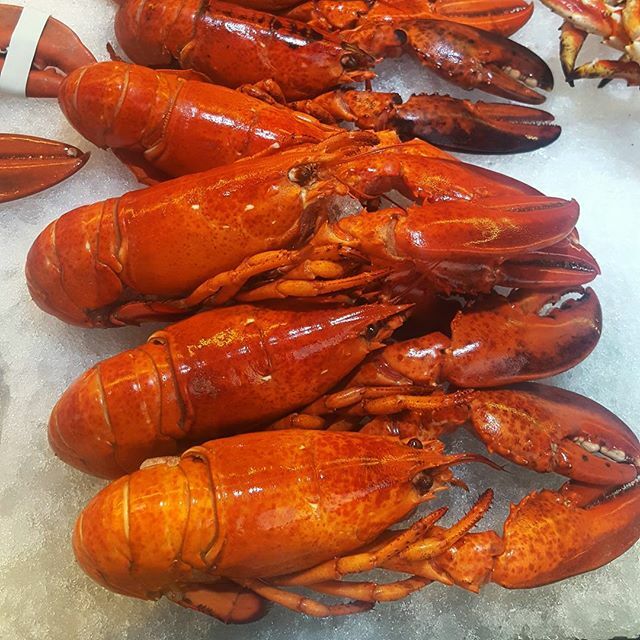 Dinner is served at the hotel later this evening. Experience Odense, the hometown of Hans Christian Andersen. Today we’ll take a ferry and then make our way through southern Norway to Oslo. 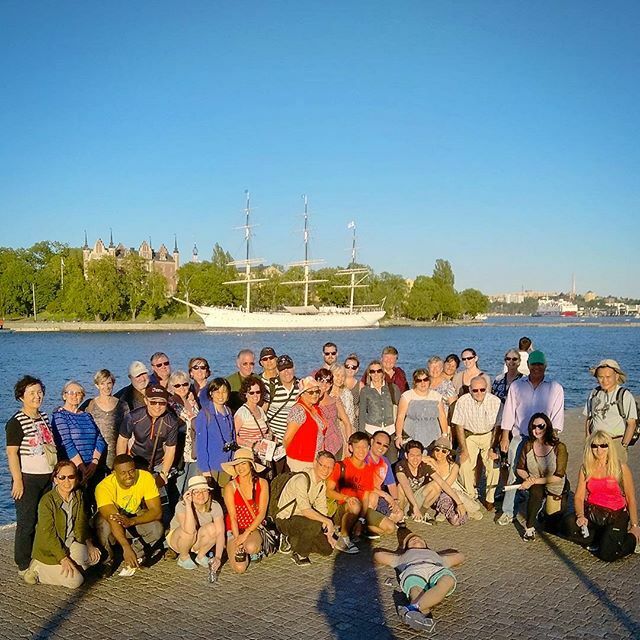 On arrival in the Norwegian capital tonight we’ll enjoy a walking tour with an expert local guide, who will show you sights including Akershus Castle, Oslo Opera House, the Parliament building and the Royal Palace. Enjoy a walking tour of Oslo with a local guide. 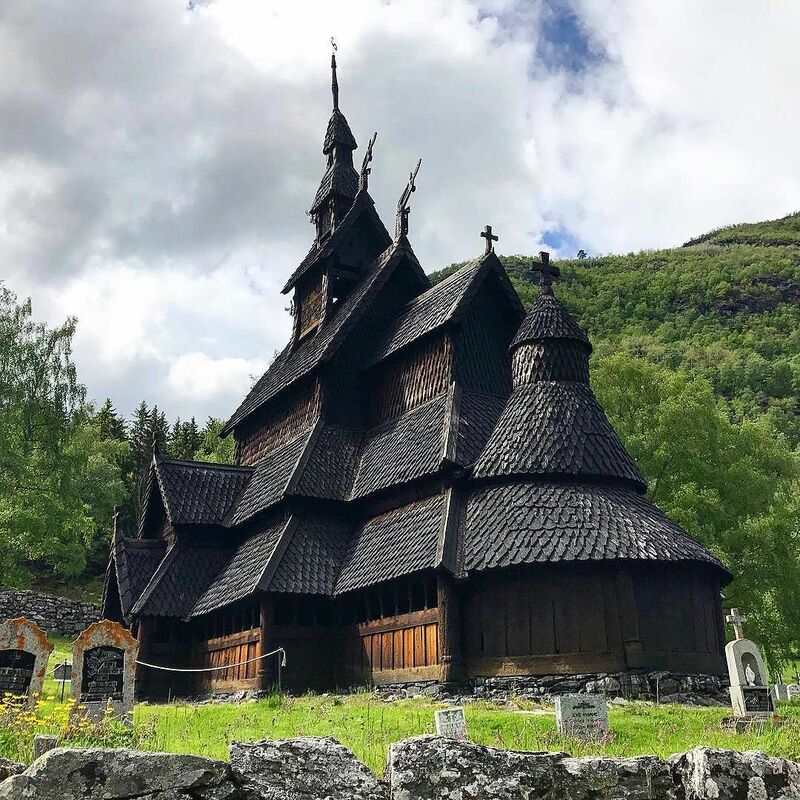 As we travel from Oslo to the west coast we’ll journey through the heart of Norway, witnessing the incredible scenery changing from emerald green landscapes to cobalt blue fjords to white snow-clad mountains. 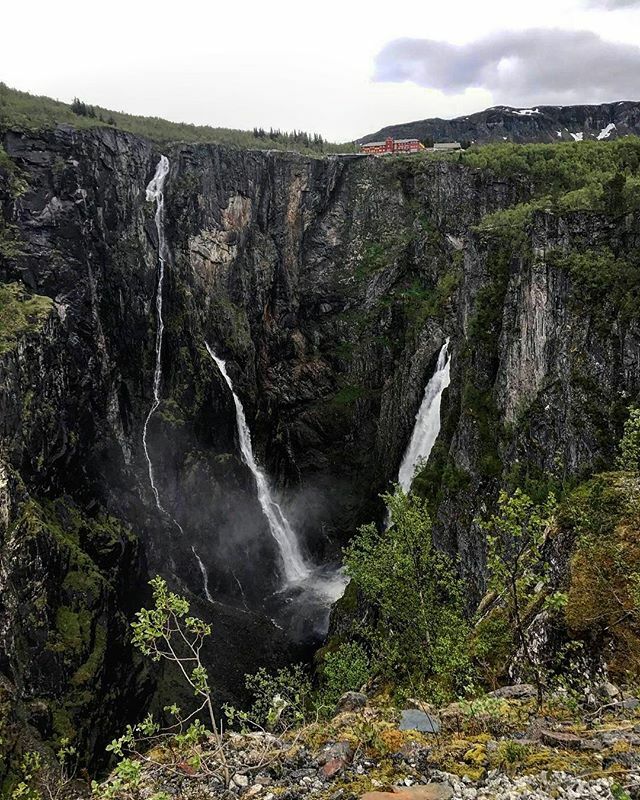 Along the way we'll make a quick stop at Vøringfossen, which is probably the most famous waterfall in the country and has a total drop of 182 meters. This evening we’ll arrive in Bergen, Norway’s second-largest city and known as “the city among the seven mountains”. 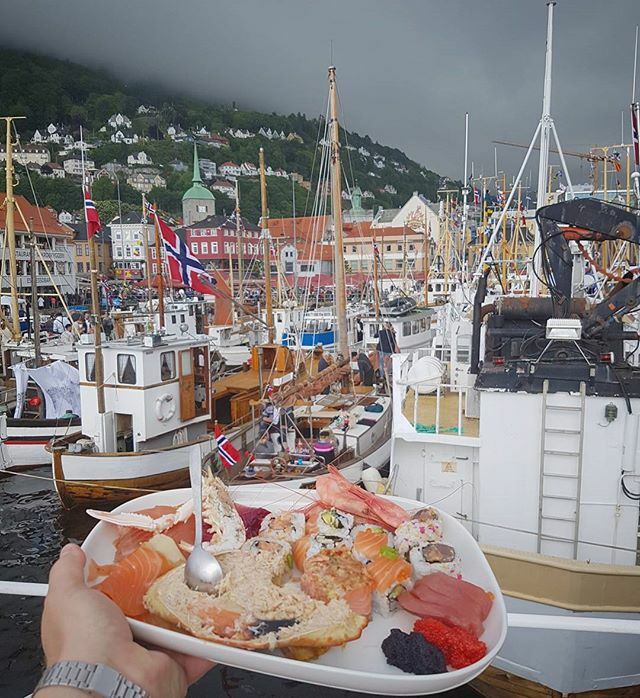 The beautiful Unesco World Heritage-listed Bryggen quay is the highlight, while Norway’s famous fjords are just a short journey away. 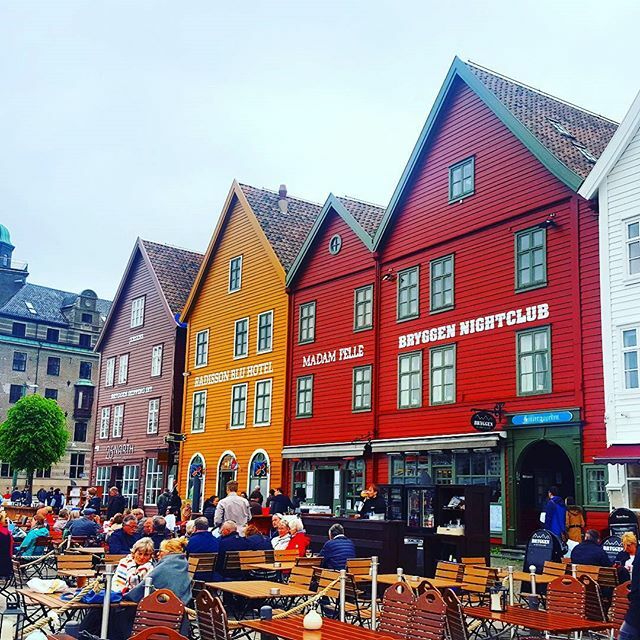 Upon arrival, your Expat Explore tour leader will take you on an orientation walking tour of Bergen, introducing you to the highlights of Norway’s first capital and former seat of royalty, including the old Hanseatic wharf Bryggen, a UNESCO World Heritage Site, and Bergen Fortress. 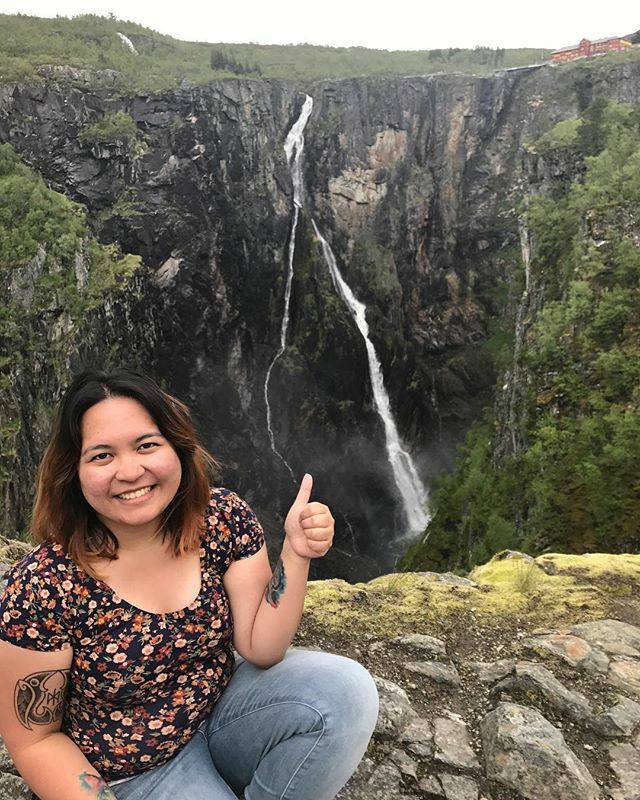 Experience the stunning landscape of Norway’s heartland from the comfort of your Expat Explore tour bus, and stop off at Vøringfossen waterfall. Orientation walking tour of Bergen. Enjoy a free day to explore the beautiful Norwegian city of Bergen and the surrounding area. You could take the Fløibanen, the Bergen funicular railway which will hoist you one thousand feet up Floyen mountain for amazing views of the city, or return to Bryggen to spend some more time exploring the classic medieval architecture, markets and warehouses. 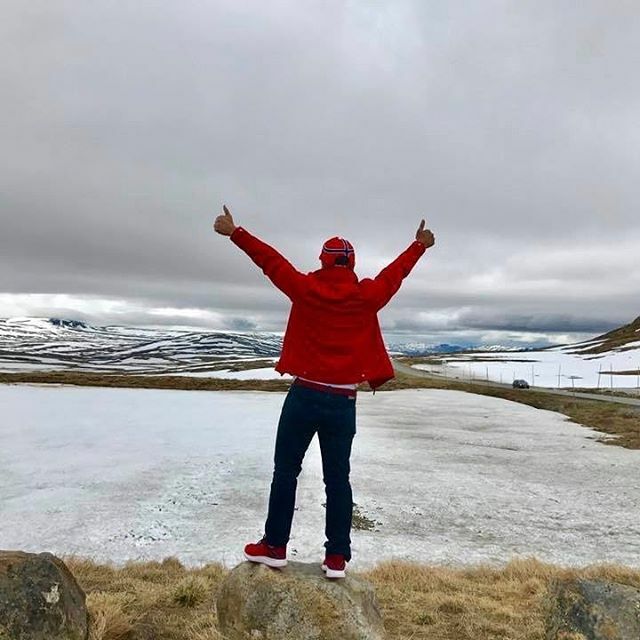 You can also join our optional excursions to Bergen's aquarium, one of Norway's top tourist attractions, and the Magic Ice Bar, a unique winter wonderland with incredible ice sculptures. 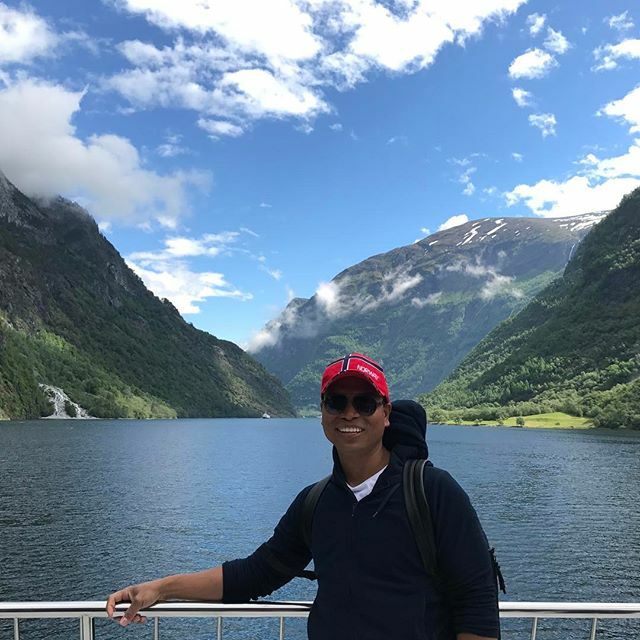 There are more than a thousand fjords in Norway, with most concentrated on the west coast, so we’ll be perfectly located today as we explore the scenic heartland of Norway on our way to Lillehammer. 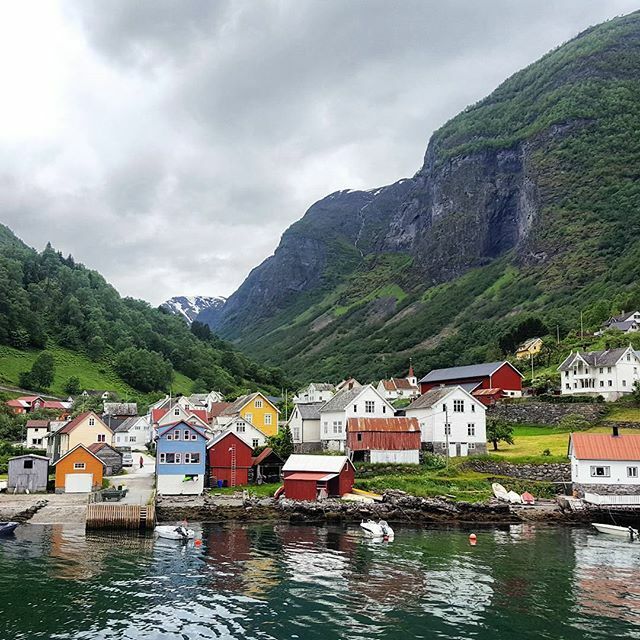 We’ll take a stop off along the way in Gudvangen, a village located at the end of Nærøyfjord, arguably Norway’s most famous fjord. 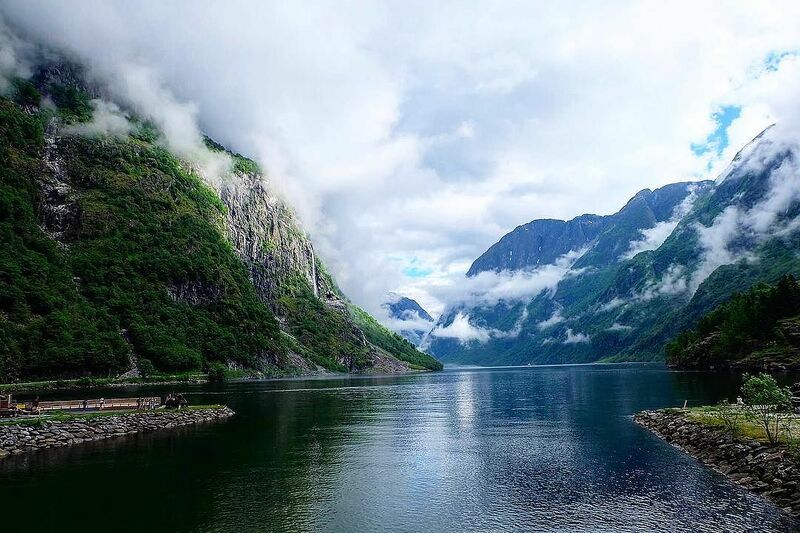 You’ll have the option to visit a viking village, and then take a cruise along the Nærøyfjord and Aurlandsfjorden fjords to Flam - still blue water is framed by towering cliffs and dramatic waterfalls - the easiest picture-postcard photo’s you will ever take. Late evening we'll arrive in Lillehammer, a ski resort town in southern Norway, where we'll enjoy an included dinner. Experience Norway’s stunning heartland as we drive past glaciers, fjords, forests and mountains. Today we’ll continue on our journey and cross into Sweden, where the stunning natural landscapes keep coming as we take a scenic drive through the mountains and deep forests to the Dalarna area in central Sweden - keep an eye out for elk and moose! 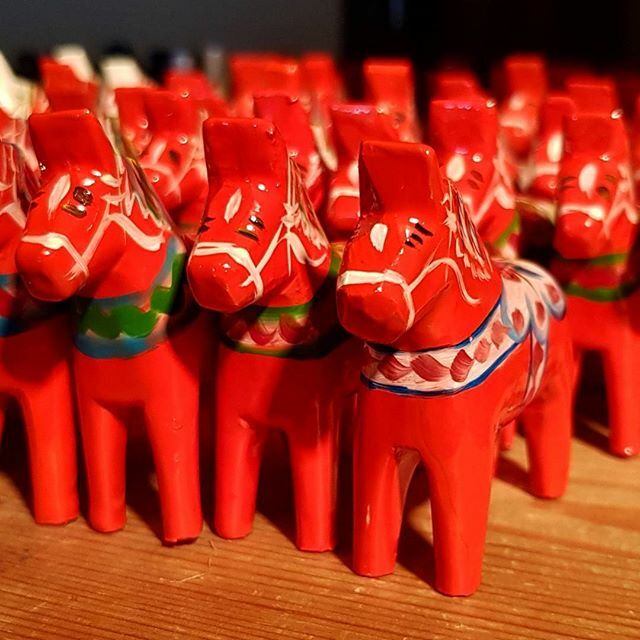 Dalarna is famous for the Dalecarlian horse, a traditional Swedish hand-painted wooden horse statuette painted in bright colours. We'll visit a workshop that produces these iconic ornaments, which uses wood from the slow-growing pine forests around the nearby Lake Siljan. Enjoy a scenic drive through Sweden. As we make our way through the Swedish countryside, we'll take a lunch stop in Uppsala. Sweden's fourth largest city is the seat of the Archbishop of the Church of Sweden, and home to Scandinavia's largest cathedral - the striking Uppsala Cathedral. 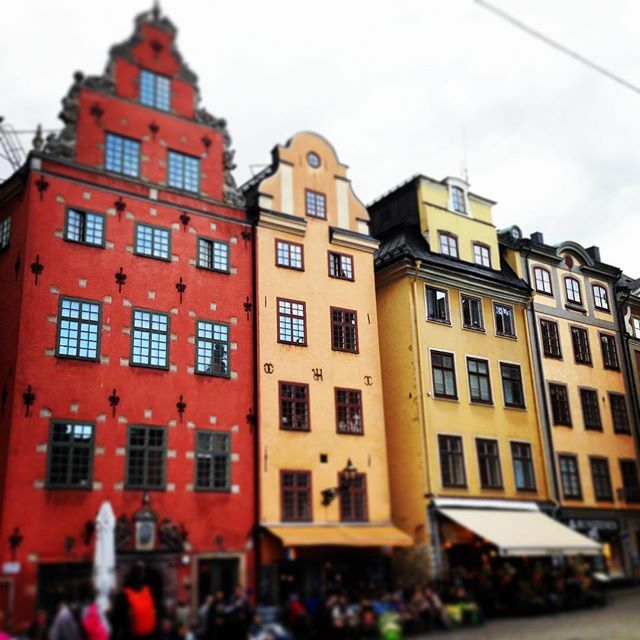 On arrival in Stockholm we’ll enjoy a walking tour with an expert local guide. 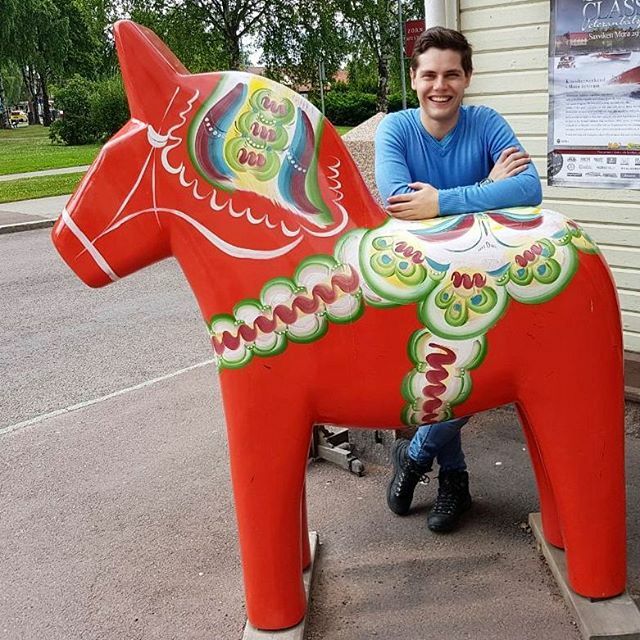 You’ll be introduced to the highlights of Sweden’s capital including the Royal Palace, Gamla Stan (the old town and heart of the city) and the AF Chapman ship. This evening enjoy an included dinner. Enjoy a walking tour of central Stockholm, where an expert local guide will introduce you the highlights of Sweden’s capital. 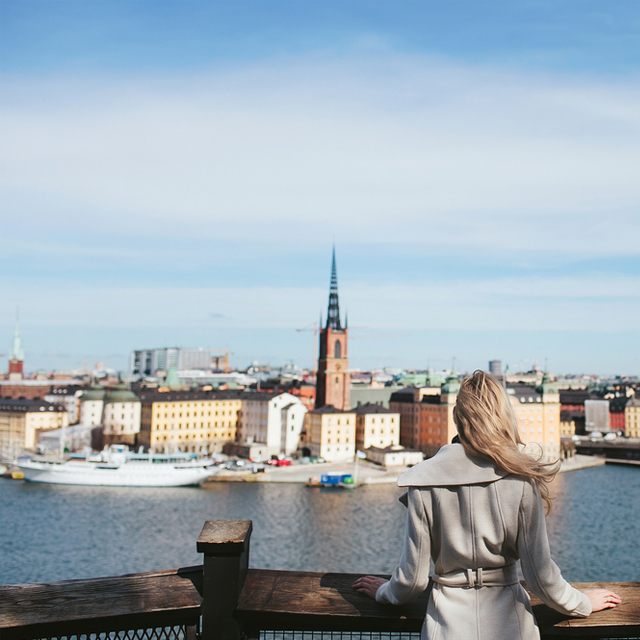 Enjoy the day exploring more of Stockholm! 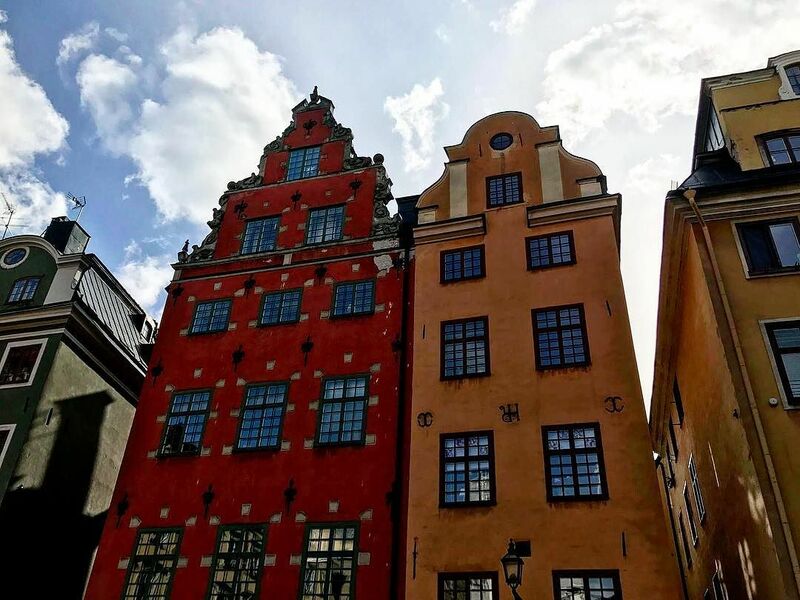 Gamla Stan is the old town, comprised of red, orange and terracotta-coloured buildings overlooking narrow cobblestone streets. The numerous islands that make up the town offer fascinating walks, especially through the Djurgården, where you can visit Skansen, the open-air Swedish history museum. Today you are on the final leg of your Scandinavian tour, look out for lakes, forests and rolling fields as we drive through the Swedish countryside. Just before we get to Copenhagen, we will stop at the town of Helsingør. This town is home to Kronborg Castle, known to many as 'Elsinore' and the setting for Shakespeare's 'Hamlet'. We'll see the castle from the water as we take a short ferry from Sweden back to Denmark. Visit Helsingør, and catch a sight of Hamlet’s Kronborg Castle. Today, our tour concludes after breakfast. 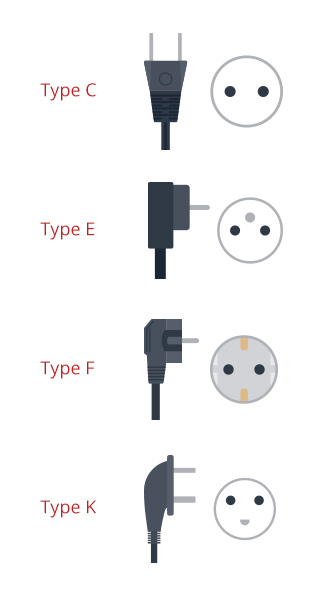 Be sure to share your contact details with your fellow travellers. 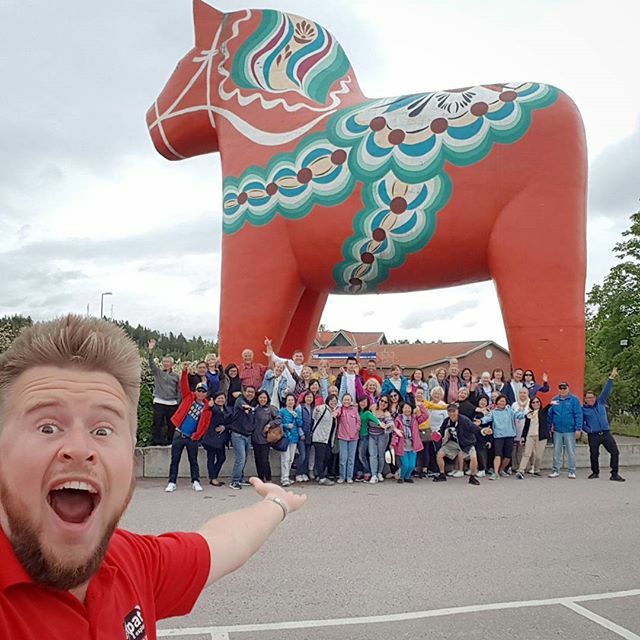 We hope you've enjoyed your Scandinavia Escape tour as much as we have! If you would like to extend your stay in Copenhagen after the tour, please contact us to confirm the hotel. 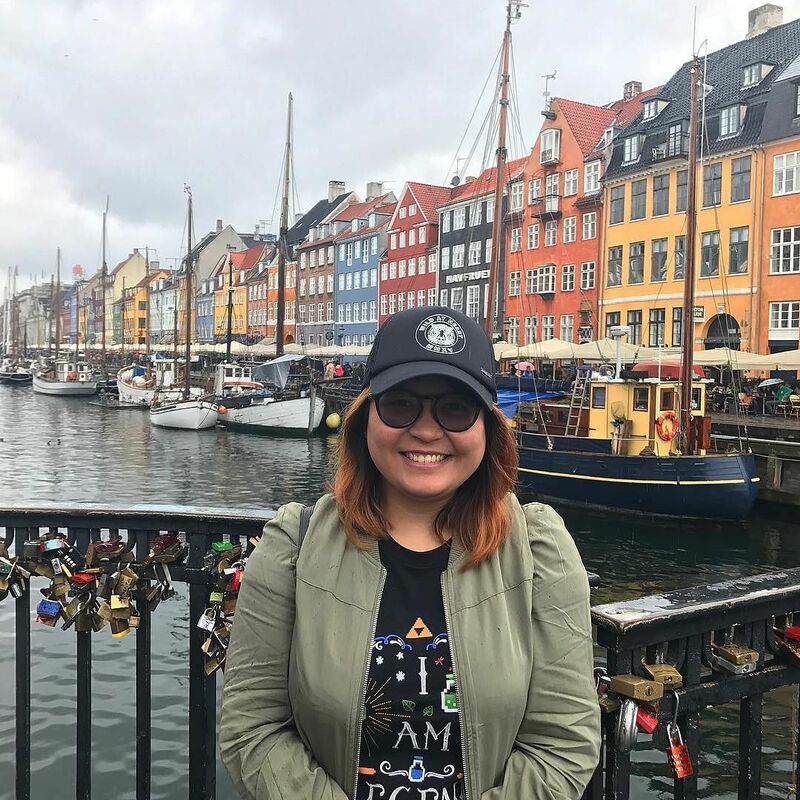 Join your Expat Explore tour leader for an exciting walking tour of the highlights of Copenhagen. 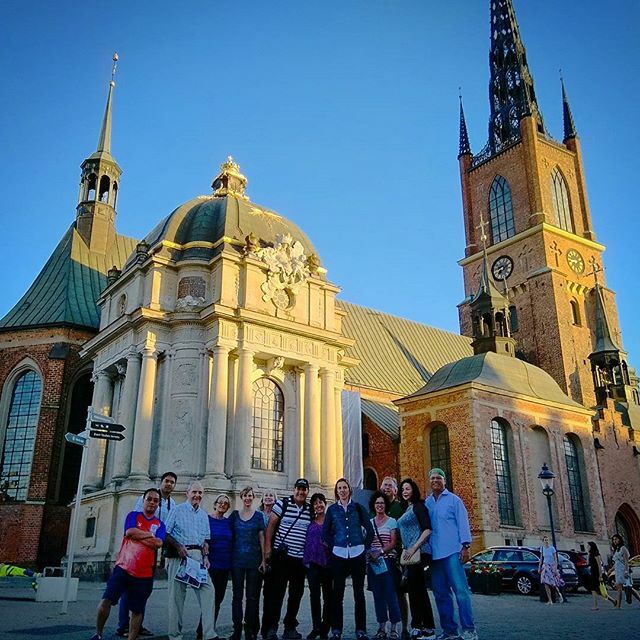 We'll start off with a walk through the Rosenborg castle grounds and gardens, and then climb the Rundetaarn (Round Tower), a 17th century astronomical noted for its equestrian staircase that will take you to the top and amazing vistas of the city. 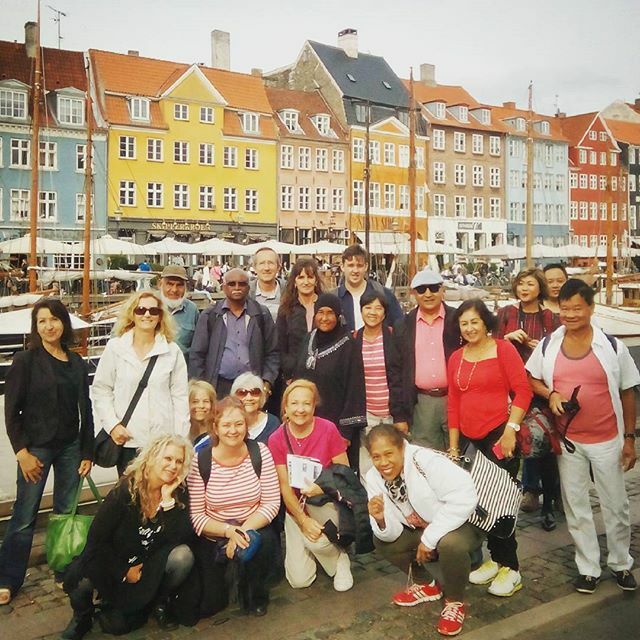 We'll then walk to Nyhavn, the iconic 17th century canal and waterfront with colourful houses, where we'll join a cruise around Copenhagen with commentary introducing us to the history and culture of the city. 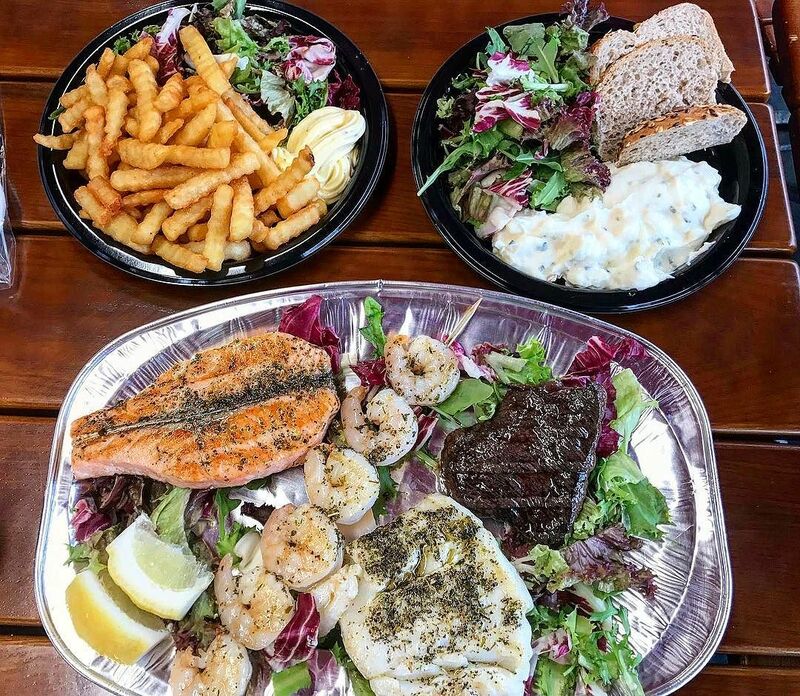 After the cruise we'll walk across the Inderhavnsbroen (Inner Harbour Bridge) to Copenhagen Street Food, a trendy warehouse crammed with a variety of delicious street food, where we'll have free time for lunch. Our next stop is Christiania, a self-proclaimed autonomous neighborhood in the borough of Christianshavn. 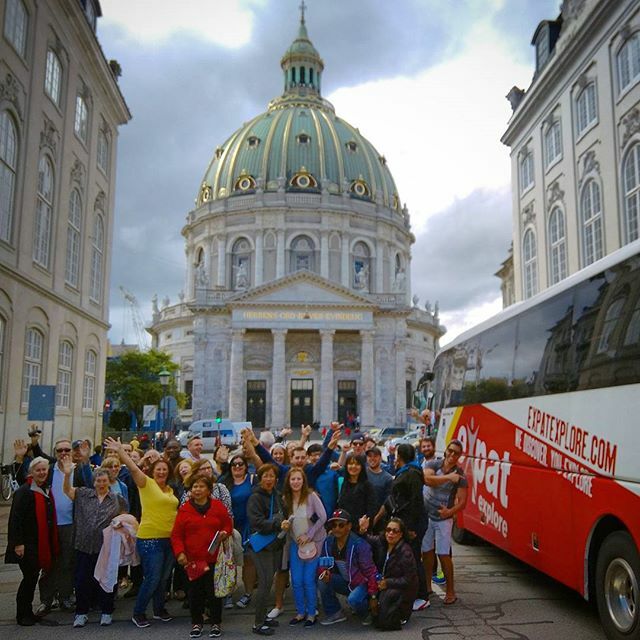 Your tour leader will give you an introduction to the community, and you'll then have some free time to explore Christiania and the Church of Our Saviour, a beautiful baroque church nearby. Take a short drive along the coast to Grenen in Skagen. Hop aboard a tractor to drive to the northernmost tip of Denmark where the Skagerrak and Kattegat seas collide and form a long sandbar. There are very few places in the world where you can stand between two seas - this is one of them. Then head to city and fishing docks of Skagen, Denmark’s northernmost city to explore. Also visit the sand church of Skagen, Den Tilsandede Kirke. 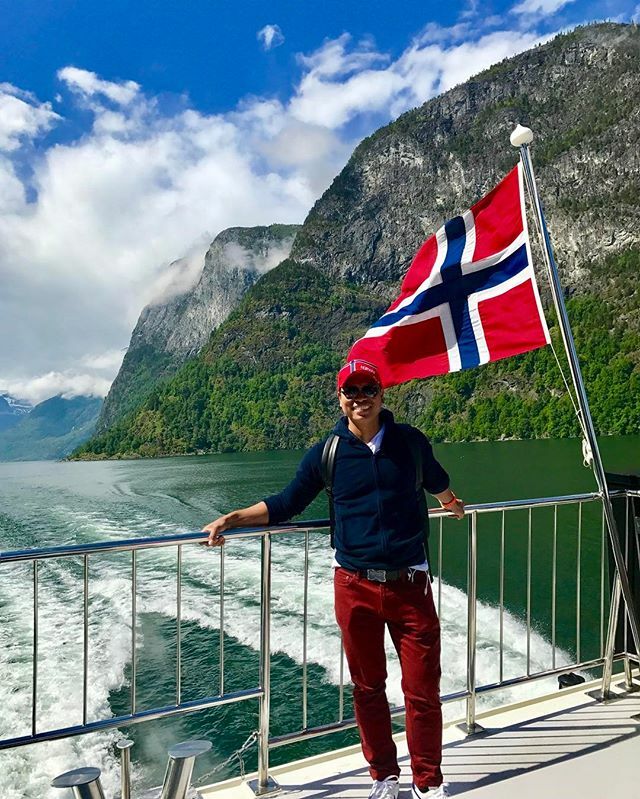 Your tour leader will take you to one of Bergen's biggest tourist attractions (and Norway's largest aquarium), situated on the Nordnes Peninsula of Bergen. The aquarium is home to nearly 400 different species in 60 different aquariums. Get to know all the animals living along the Norwegian coast, as well as some tropical creatures such as crocodiles or snakes. You will also get to walk under a shark tunnel, and meet sea lions and penguins. Enjoy a sub-zero experience that you will never forget! The exhibition consists of ice sculptures and installations with LED lighting and sound. Wrapped in your winter poncho and gloves (the Ice Bar will provide this for you! ), enjoy a special signature drink, the Norwegian Arctic Crowberry Cocktail served in an ice glass (a mix of a sweet and fresh white wine mixed with a traditional Norwegian arctic crowberry). Non-alcoholic drinks are also available. 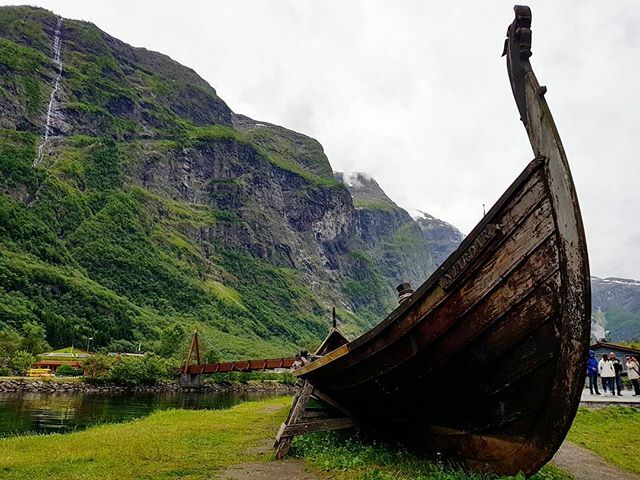 Explore the Viking village Njardarheimr in Gudvangen and experience the authentic life of the Vikings lived when they were not at sea. 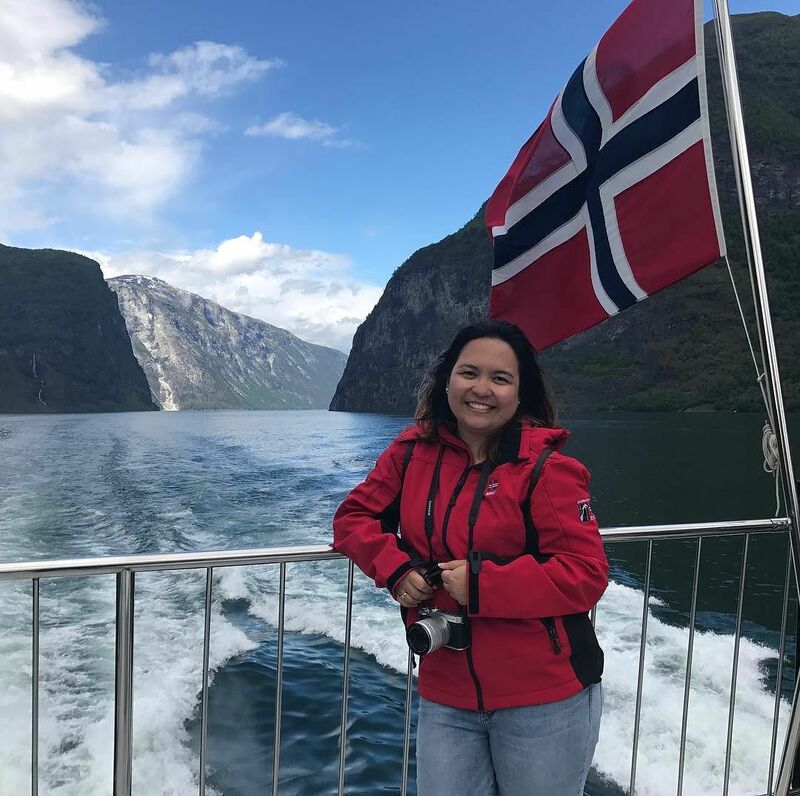 We'll then take a cruise along the incredibly picturesque UNESCO World Heritage Nærøyfjord and Aurlandsfjorden fjords to Flam - you won't struggle for amazing photos! 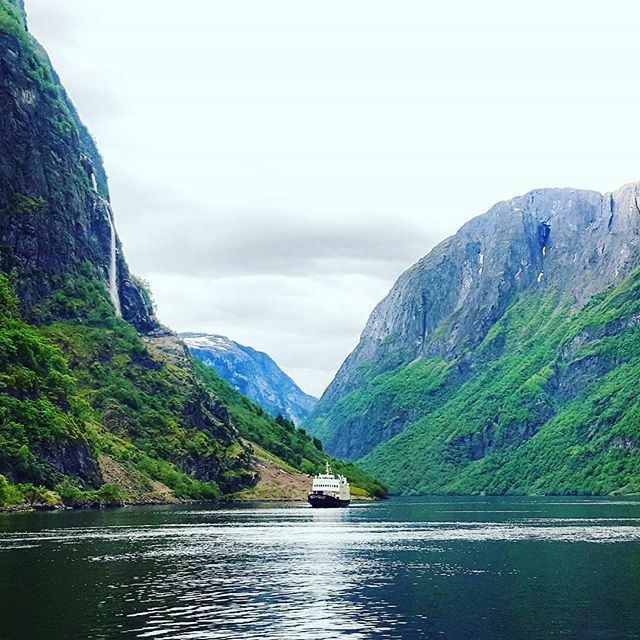 The ship we'll take this epic journey on, the 'Vision of the Fjords' was voted ship of the year in 2016 - it's modern design allows you uninterrupted views of the stunning scenery throughout the journey. 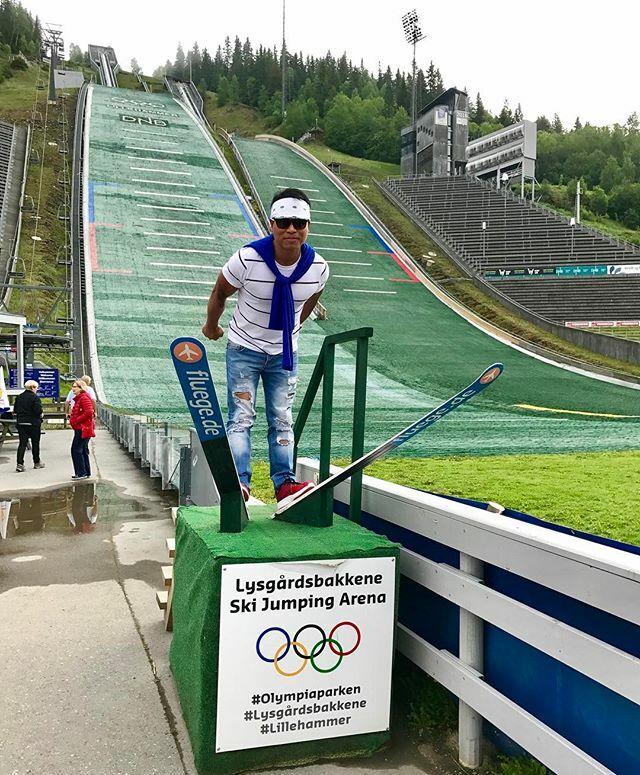 Experience the highlights of Stockholm, starting off with a scenic drive of the incredibly beautiful archipelago of islands to the east of the city, heading to Vaxholm, a small island town with a strong naval history. We'll learn more about it's interesting past as we enjoy a guided tour of Vaxholm Fortress, which has protected the city from seaborne invaders, including the Russians and Danish, since it was built in 1544 by Gustav Vasa, the father of Sweden. You'll have some free time to explore the town of Vaxholm, before heading into the centre of Stockholm to visit the world-famous Vasa Museum, the world's oldest surviving wooden war ship, which sank on its maiden voyage in 1628 within sight of the shipyard where it was built. It lay on the bottom of Stockholm harbour for 333 years until it was re-discovered in 1956 and raised to the surface in 1961. After 27 of careful preservation work, the ship went on display to the public, and is now one of Sweden's most popular tourist attractions. This tour starts and finishes in Copenhagen. Please have a look at our essential tour information page for detailed information.